Psssst. 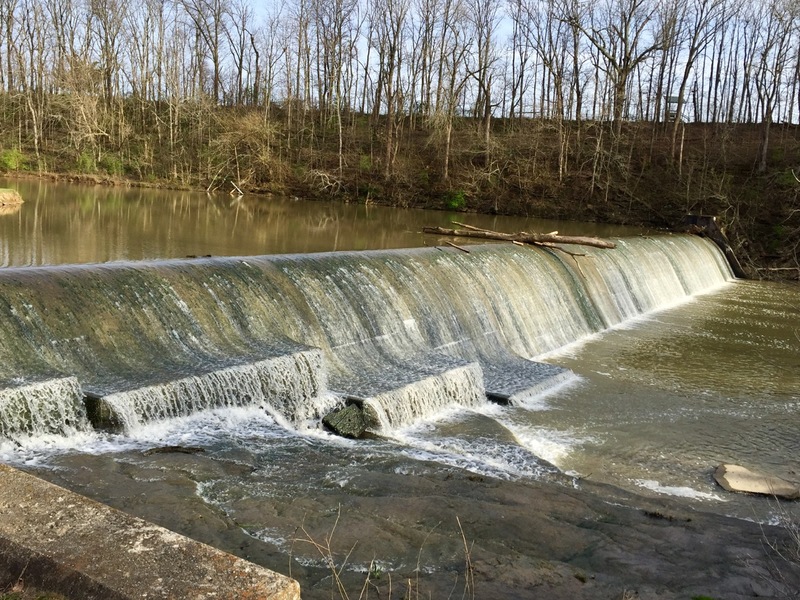 We Found a Hidden Camping Gem in KY. Don’t Tell Anyone! – Own Less. Do More. Psssst. 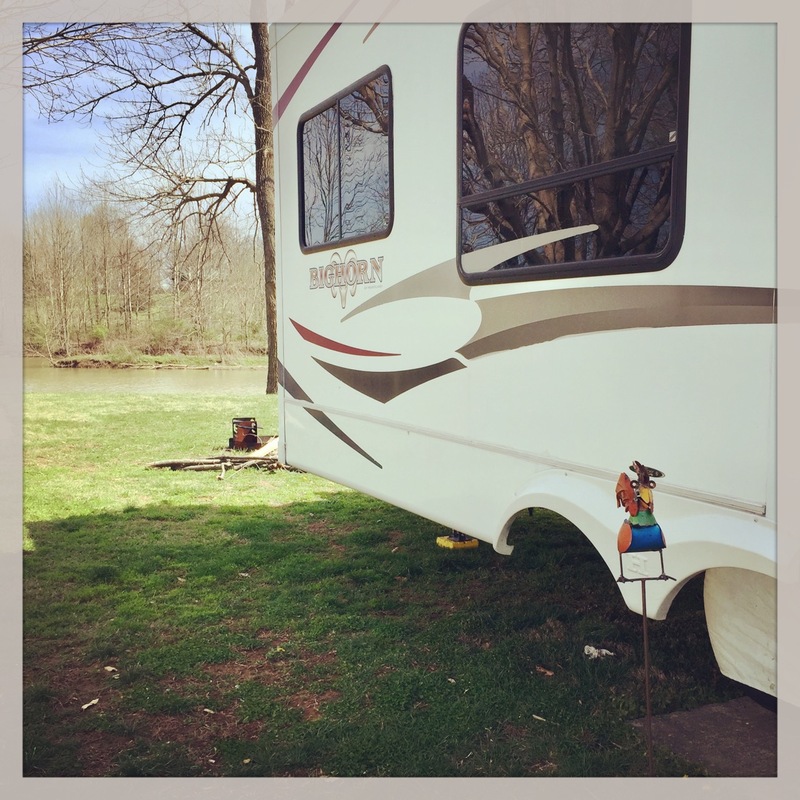 We Found a Hidden Camping Gem in KY. Don’t Tell Anyone! 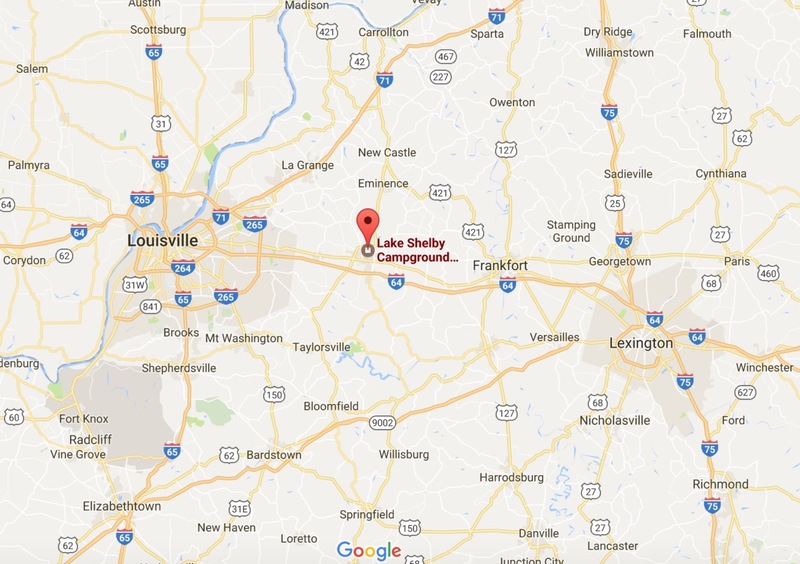 If you’re traveling across Kentucky on I-64, looking for a place to rest for a night or two, check out Lake Shelby Campground, just north of Shelbyville, KY. It might not be for the faint of heart, but it definitely has a lot of heart. 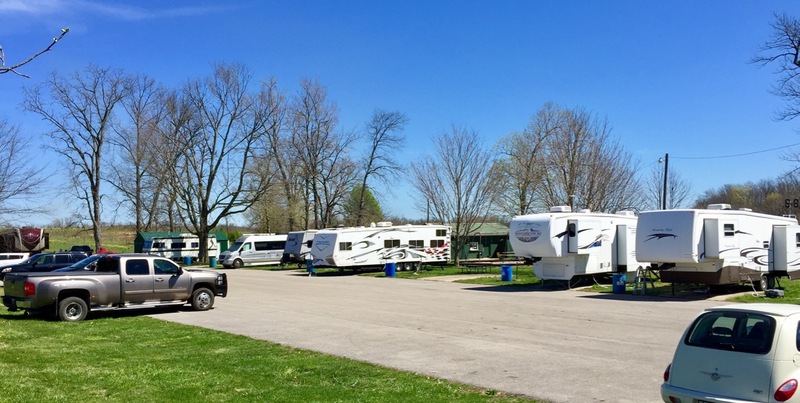 The first thing you need to know is that it is small (10 RV spots; tent camping available), and access is along a narrow county park road. We made it in with The Toad, our 38’ 5th wheel plus bike rack on the rear, but it was tight. I would not recommend this park for RVs longer than ours. Oh, and there’s no wifi. Be prepared for that too. Our AT&T calling and data worked fine. Plus, the spaces are set really close together, so you’ll get to know your neighbors. That’s us, second from the right, with the BFT parked directly across the lot. However, the park closes at dusk, which means that all the non-campers leave the premises for the night. 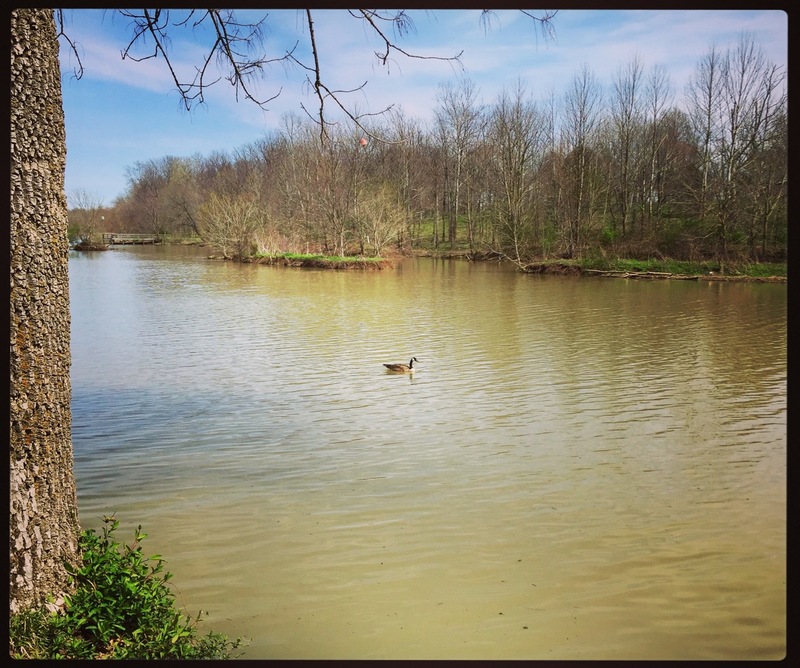 Even though we were there during Spring Break week and the following weekend, we heard far more noise from the resident flock of geese than we did from any families that had come to enjoy a day of outdoor activities. There are a couple of communal fire pits and picnic tables for campers to share, and there’s also a bath house that’s a little on the rustic side. We did not make use of the showers ourselves as we prefer our own, but other reviews indicate that they are clean and that hot water is plentiful. 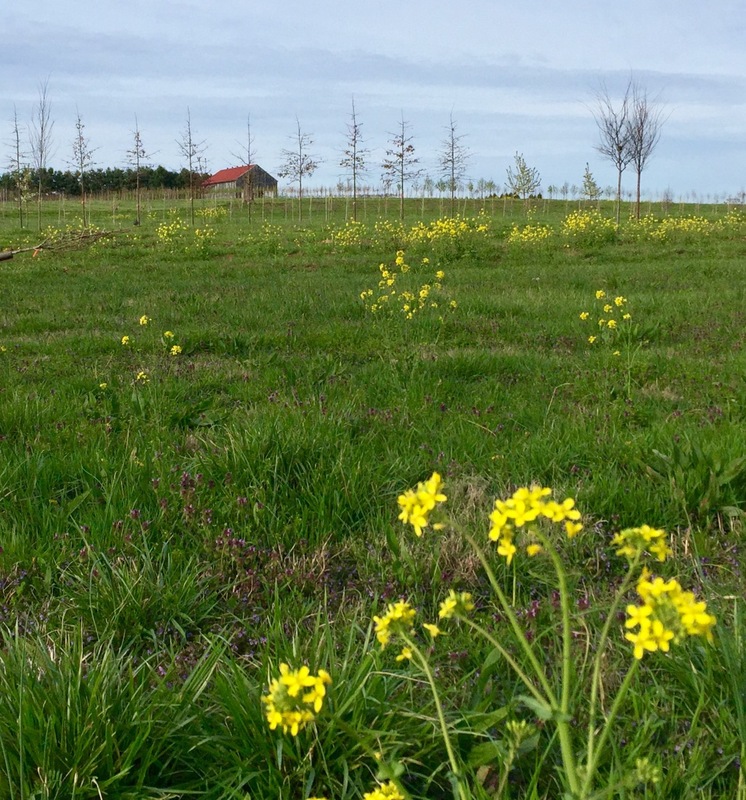 There are also tent sites for those who want to get even closer to nature on their visit to this park, which is not just family friendly but pet friendly too. It’s an Old Kentucky Home. 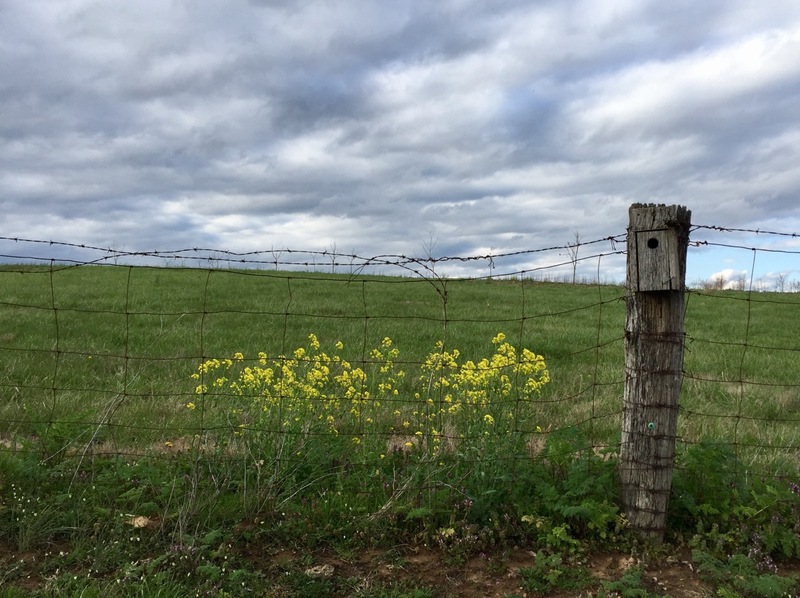 I think you’ll see from my photos why we found Lake Shelby Campground so enjoyable. 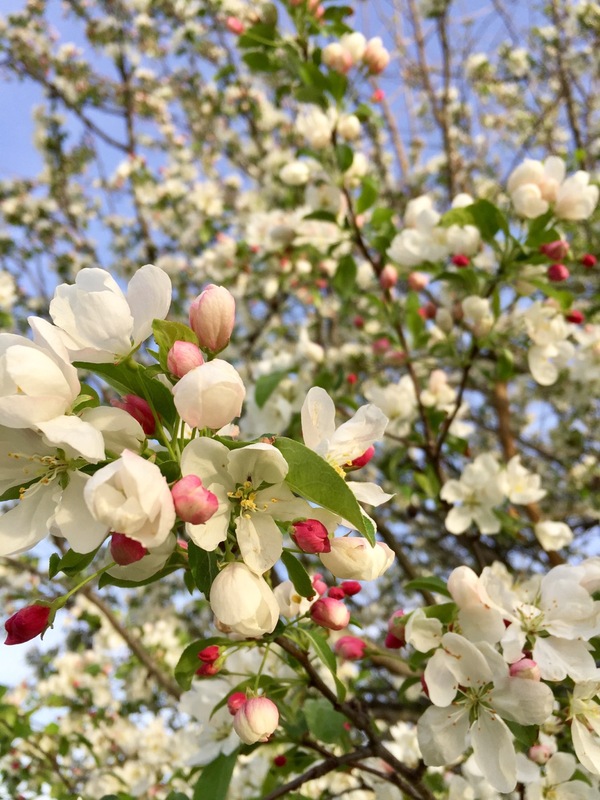 We stayed there for the first week of April 2017, and learned that springtime in central Kentucky is almost too beautiful for words. This is an independent review, and we received no compensation from Lake Shelby Campground. WheRVe we been? Our travels, 1st quarter(-ish) 2017 – Own Less. Do More. 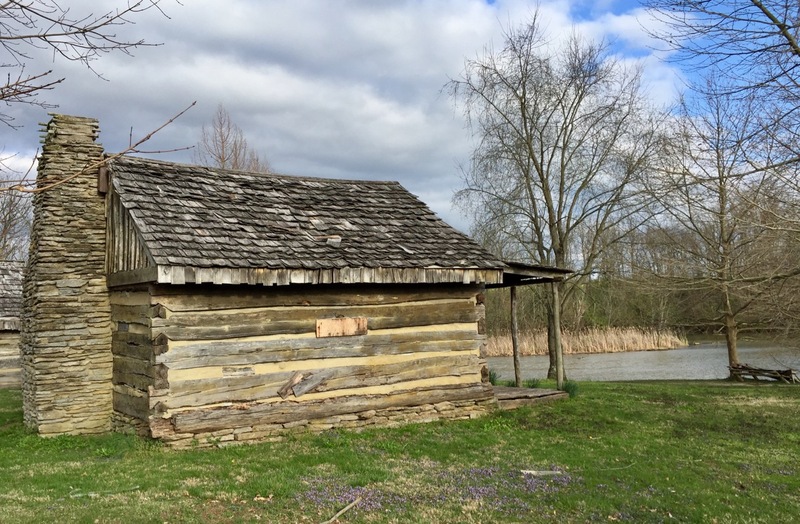 Little Beaver, Big Treat: Our Stay at a State Park in Wild Wonderful WV – Own Less. Do More.